stressed the political bureau of the cleric Moqtada al - Sadr, Wednesday, that the alliance with the leader of a coalition of state law , Nuri al - Maliki "is unlikely , " while attributing the reason to bear the "legal responsibility" control "Daesh" Mosul and other cities as it was Commander of the Armed Forces in 2014. The official said the office of Dia al-Asadi in a press statement received Alsumaria News a copy of it, "The alliance with al-Maliki isunlikely," pointing out that "bears the legal responsibility for what happened in Mosul and other cities of Iraq, Of the armed forces ". "There has been more than a documented and documented attempt by Mr. Sadr to build the country properly, but this has not been taken because of partisan and political selfishness and because personal, partisan and factional interests have taken over the hearts and minds of decision makers," al-Asadi said. The examples presented by al-Sadr were the formation of a professional committee of independent technocrats to choose ministers replacing the ministerial cab of the slaves. " "We are our alliance with all of these people because we have many national participants who join us in our struggle for the homeland and the masses," he said. "As a member of our coalition, the party of national integrity, Communists, civilians, secularists, liberals and some national figures and figures who do not have any ideological affiliations, . 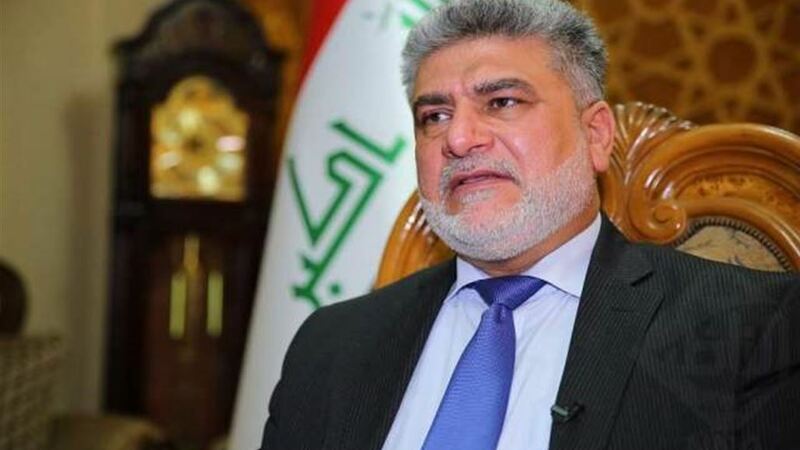 The Political Bureau of the leader of the Sadrist movement, "The alliance with al-Maliki is out of the question, and that he will be a cabinet minister or not, will not be our decision for sure," noting that "the controls and mechanisms of choice are the inevitable. "One of our problems with al-Maliki is the Mosul issue, and in one way or another he has legal responsibility for what happened in Mosul and other cities of Iraq, because he was the commander-in-chief of the country," al-Asadi said. To the armed forces, and must disclose those involved and hold them accountable for the blood of Iraqis who shed and their land occupied and their destroyed capabilities and their symptoms, which have been violated and violated. " The leader of the Sadrist movement Moqtada al-Sadr has set, on Thursday (May 10, 2018), several conditions to end the differences with Vice President Nuri al-Maliki, including approval of the people of Mosul and Anbar and other areas occupied by terrorism.